Where has the time gone by? I can hardly wait to start celebrating with my students. For primary students, I usually start the day with a Valentine’s Day Literacy and Sentence Formation for Special Occasions before recess. 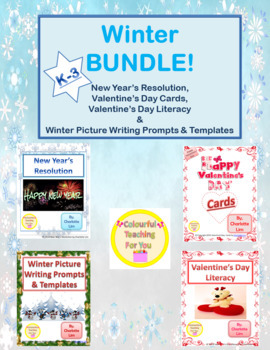 After recess, we work on Special Occasions Writing Prompts for Primary Students and Winter Picture Writing Prompts & Templates. We then visit our New Year’s Resolution to gauge our progress. For intermediate or secondary school students, I start the day off with looking at the progress of New Year’s Resolution. 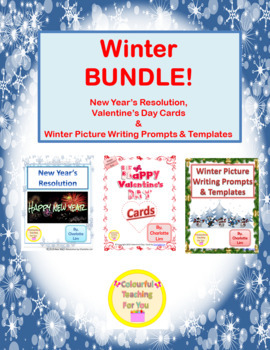 We then spend the day working on Special Occasions Writing Prompts for Intermediate Students and Winter Picture Writing Prompts & Templates. Valentine’s Day Cards. Students make cards for their relatives and friends. After we hand them out, we enjoy eating treats and watching a Valentine’s Day movie. I really enjoy this method because children spend the day practicing their literacy and art skills in a variety of engaging ways. If you want to take this a step further, have your students share some of their work with the class. In this way, you can have them practicing not only their speaking skills, but also their presentation skills and audience behavior. 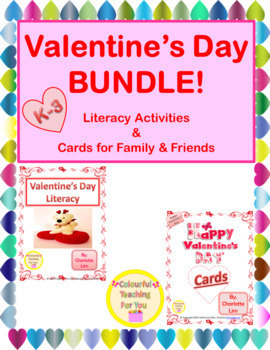 I am super excited to let you know that from TODAY until February 14th, exclusive items are on sale to help you and your children fill your Valentine’s Day with love and laughter. Visit Colourful Teacher For You for some great offer. While you’re there, check out my three newest bundles. Not only are they 15% with the SALE but for TODAY ONLY, they are an additional 50% OFF. Remember to leave a comment as Teachers Pay Teachers will give you credit toward your next purchase. Thank you and may you, your family and your class have a wonderful Valentine’s Day! Now that you have read this blog, I’d love to hear from you. How are you and your children celebrating Valentine’s Day? ← Step It Up With Your Goals! Great ideas for celebrating Valentine’s day. Thanks for sharing. I don’t remember ever doing something special in drama class for Valentines Day—bummer! I love how you incorporate literacy into your holiday celebrations! I love how you’re in a rhythm with your activities…I feel the same way. It’s nice to be able to do that after a few years in.